With a deferred annuity, you deposit your funds with an insurance company (by investing in either a fixed, variable, equity-indexed, or longevity annuity contract) and the taxes on any investment gains are deferred until such time as you take a withdrawal. Any gain withdrawn prior to your age 59 ½ will be subject to a 10% penalty tax in addition to ordinary income taxes. Written into your deferred annuity contract will be the option to turn your deferred annuity into an immediate annuity after a certain amount of time has passed; essentially you are letting your earnings defer until such time as you desire to turn the investment into a guaranteed stream of income. Deferred annuities can come with all sorts of features (at a cost) that provide specific types of death benefits and/or future income guarantees. Here is an overview of four main types of deferred annuities; fixed, variable, equity-indexed, and longevity. A fixed deferred annuity works much like a certificate of deposit; except, instead of having to claim the interest income on your tax return each year, the interest is deferred until such time as you take a withdrawal from the annuity contract. When you purchase a deferred fixed annuity, the insurance company will tell you the guaranteed interest rate your funds will earn. For risk-adverse investors who will not need the interest income from their investment until age 59 ½ or later, fixed annuities can be an attractive option. Before you buy a fixed annuity compare the return being offered to other safe investment choices like certificates of deposit, and government bonds. Investing in a variable deferred annuity is a lot like owning a group of mutual funds. These mutual funds are called sub-accounts when they are in an annuity. You have control over the amount of investment risk you have by choosing from a pre-selected list of sub-accounts including both bond and equity investments. Your investment returns will vary depending on the performance of those underlying sub-accounts. Beware Of Variable Annuity Tax Deferral - Because the investments are inside of an annuity, all taxes are deferred until such time as you take a withdrawal. 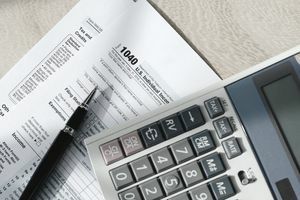 The tax deferral of a variable annuity is often touted as an advantage by annuity salespeople, but for many, it can actually turn out to be a disadvantage. Taxes may be higher in retirement, not lower. Variable Annuity Riders and Death Benefits Come At High Costs - Annuity companies provide a whole array of features called riders. These riders can provide death benefit guarantees and future income guarantees, often at high costs which erode your investment returns. Many annuities with these features are charging fees of over 3% a year. An equity-indexed annuity functions like a fixed annuity in some ways, and like a variable annuity in other ways. Technically, it is a type of fixed annuity. Equity-indexed annuities have two components: a minimum guaranteed return, and the possibility of earning a higher return by crediting your account with a return based on a formula that is tied to a popular stock market index, such as the S&P 500 Index. The formulas inside equity-indexed annuities are often difficult for an average person to understand, and equity-indexed annuities often have high surrender charges (lasting for ten to fifteen years). When you purchase a longevity annuity, it is like purchasing “long life expectancy insurance”. For example, suppose at age 60, you deposit $100,000 in a longevity annuity. The insurance company guarantees to provide you with a specified amount of life-long income at your age 85. This would leave you free to spend other assets, knowing you had a guaranteed stream of income to support you later in life. The taxes and income on this type of annuity are deferred until age 85 when you start taking the money out.